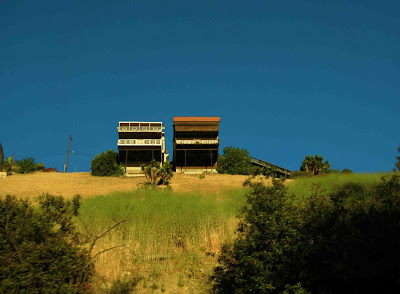 Love these two lonely houses on the hill. The view looking up at them is much better than from the front. Double stories. Double balconies. Double hangers.